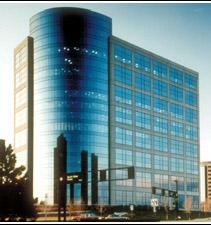 Our clinets do business with us because they are concerned with working in a professional atmosphere in the Denver area, they're frustrated by long term leases that tie them down, they are under pressure to expand their business while keeping costs low, or because they're tired of not having a convenient location to meet with their clients. If you feel the same, let's talk. We are dedicated to providing an exceptional business environment and quality professional business services at an excellent value, provided with individual pride, responsiveness and company spirit.We are a leading national business center operator with operations in multiple markets throughout the United States. Our team of industry experts have operated business centers since 1992, providing cost-effective instant offices for Fortune 1000 and entrepreneurial companies requiring immediate turn-key office solutions. With our goal to provide a solution for your business needs, we are flexible with our programs and options, open to customizing a plan that meets your specific needs. We are typically capable of providing your office solution within 24 hours. Our ability to respond quickly to changing customer demands and our pursuit of innovative office solutions has made We a leader in the executive suite business center industry. One call and your office solution is in the works. We offer clients quality professional office services at a level often exceeding that which can be attained by building out your own space and at a tremendous cost savings. A worry free business environment and quality services allow you more time to focus on your business. the expense of a full time office. Meeting, conference and training room options at a reasonable price. Great for any type of meeting. Our Day Office packages offer the great advantage of not investing in an office but giving the impression that you have one to your client base.